We are normal people. We want to have fun. 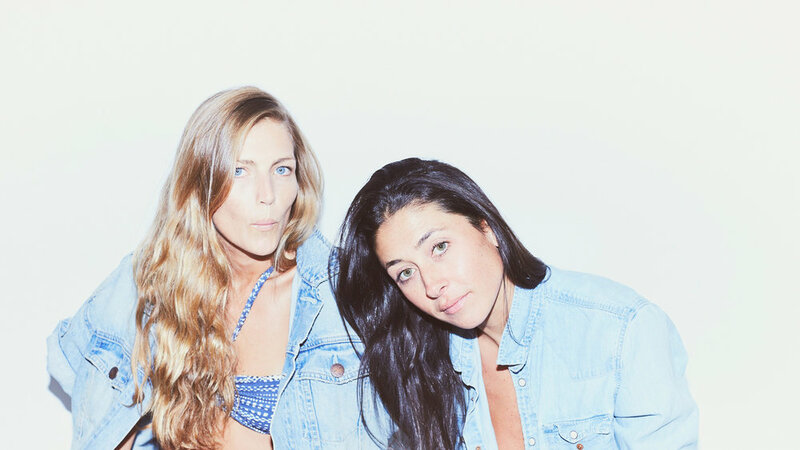 YOGA FOR BAD PEOPLE is a yoga based company focused on leading retreats, emerging from the combined visions of Katelin Sisson and Heather Lilleston. YFBP seeks out locations around the world that lends itself to quiet time and reflection as well as a multitude of physical activities, athleticism and nightlife. WHAT DO WE MEAN BY "BAD"? In a classic text on yoga, the "Hatha Yoga Pradipika", it is stated that one of the obstacles to yoga is "adhering too strictly to rules", hence the slang term "bad". BAD, essentially meaning good, but with a little spice and an element of being unconventional and eccentric. Our classes could fall under a number of categories. We like to make the time for both a strong vinyasa style class alongside a more intricate exploration of the proper alignment and therapeutics of the postures. We recognize that during a retreat, when there are other activities throughout the day, the practice needs to reflect and balance out the group dynamic, personal needs and the local environment, as well as offering a physical challenge. All of our teachers are highly skilled at precise physical cues, and we make sure to give plenty of hand on assists throughout a class. There are daily led meditations, which is an excellent way to kickstart a practice that you could continue post-retreat. These meditations are always optional, but those who have committed to it for the duration of the retreat have often been able to continue the practice at home. There is a potency to practicing yoga twice a day, every day with a consistent group of practitioners under the guidance of the same teachers. It will shift your practice. One of the most important aspects of a YFBP class is the music- expect to hear anything from Outkast to Cat Power to Zeppelin to Nusrat Fateh Ali Khan. It's not uncommon for the vibe of the class to feel like you have one foot on the mat and one foot on the dance floor. Bottom Line: we like to have a good time. Teaching since 2003, Heather's classes combine creative vinyasa sequencing with attention to alignment, spiritual philosophy, good music, meditative techniques and humor. Her influences are Colleen Saidman, Rodney Yee, Sharon Gannon, David Life, Ruth Lauer Manenti, Krishnamurti and Pema Chodron. Non Yoga Fact: She holds a BFA in Drama from Tisch School of the Arts, NYU. Teaching since 2010, Katherine Colla's classes are clean, fun, vibrant and wildly intuitive. Her influences are teachings of B.K.S lyengar, the method at Katonah Yoga, fellow teachers in her community, and her everyday life. Non Yoga Fact: Partially blind in my left eye. Teaching since 2008, Katelin's classes are athletic, energized, pragmatic and borderline dance party. Her influences are Rima Rabbath, BKS lyengar, Roger Federer, Gabriel Garcia Marguez, George Best, Bo Jackson, my daughter Minnie. Non Yoga Fact: I am a soccer and a Manchester United super fan. I also still hold onto dreams of playing professional tennis. Teaching since 2011, Stephanie's classes are thoughtful and help align attention to intention. Her influences are Eddie Stern, Magnolia Zuniga, Tiffany Cruikshank, Schuler Grant, Ariel Karass, Oceana Baity. Non Yoga Fact: Sommelier in past life. Teaching since 2010, Jamie's classes are alignment oriented yet fun, accessible yet challenging, soul-elevating yet realistic... all built around music and breath. Her influences are Pema Chodron, BKS lyengar, Rodney Yee, Colleen Sandman Yee, Richard Rosen, Richard Freeman, Heather Lilleston, Evan (her husband), Mama Nancy and the ever evolving world around us.. Non Yoga Fact: She has 3 (yes 3) Chihuahuas. Nina has been teaching since 2014, her sequences are inspired by creative movement. She teaches a vinyasa flow that focuses on alignments, pranyama, mediation through an eclectic playlist. Her influences are BKS Iygenar, my beloved teachers in NY, and my forever life changing experiences in Africa. Non-yoga Facts: Living in Ethiopia, motorcycle owner and proud momma to an Ethiopia street rescue dog named Igloo. Teaching since 2012, Samantha's classes are honest and exploratory, challenging yet fun. Her influences are her husband, her mom, dad, sister and brother. Her forever mentor Heather Lilleston. Her shelf of spiritual books. Non Yoga Fact: She's camped out in the Sahara Desert in Morocco next to a camel, and along the Sabie River in South Africa next to a leopard. Teaching since 2014, Jackie’s classes invite you to go within through devotion, asana, meditation and pranayama. With a rooted focus in alignment and breath, she teaches Vinyasa and Kundalini Yoga. Her influences are Mary Oliver, Stephen Cope, her beloved Mentor Heather Lileston, Sharon Church, Yogi Bhajan, Gurmukh and Guru Shabd, Mia Haber, Dana Slamp, The Bhagavad Gita, Tao Te Ching, and her beautiful Mother. Non Yoga Fact: She holds a BFA from the University of the Arts in Philadelphia where she studied metal smithing and is now working towards a Masters of Science in Acupuncture.